Vance Ginn, Ph.D., is an Economist in the Center for Fiscal Policy at the Texas Public Policy Foundation, one of the nation’s premier free-market think tanks. He has quickly become a leading free market economist with his high quality research on ways to limit government and expand liberty so Texans, and all Americans, can satisfy their desires. Before joining the Foundation, Ginn taught at three universities and one community college across Texas. 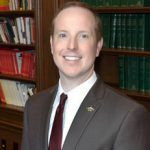 He was a Director on the Missouri Valley Economic Association’s Executive Committee and has presented sound economic research at their annual meetings and at the meetings of other professional organizations. He is a first generation college graduate with his B.B.A. in economics and accounting with minors in political science and mathematics, and went on to earn his Ph.D. in economics from Texas Tech University. He has successfully published peer-reviewed articles in academic journals, such as The International Trade Journal and Energy Economics, public policy research on critical issues, commentaries in major media outlets, and has scholarly works in progress. 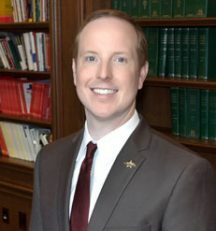 While at the Foundation, Ginn has led the charge in conducting in-depth, dynamic studies and other research on the benefits to Texans if the Texas Legislature passes conservative budgets, eliminates the business franchise tax, increases budget and debt transparency, reforms property taxes, and much more. His research on labor market trends, energy markets, and other key economic issues supports the best way out of poverty is a job through limiting the size and scope of government. Ginn and his family reside in Round Rock, TX.